Everyone travels in comfort with the available dual-zone automatic temperature control with CleanAir Ionizer and Auto Defogging System. The available heated front seats, ventilated front seats and 10-way power driver seat make Elantra GT exceptionally roadworthy. A sweet-shifting 6-speed manual is standard. The available 6-speed automatic transmission with SHIFTRONIC® has a lock-up torque converter for higher fuel economy at freeway speeds. The 2017 Elantra GT's instrument gauges and cluster panel illuminate a beautiful blue and display important information regarding your standard MPH, RPMs, Oil temperature, fuel levels, and further information such as Distance to Empty, and average fuel comsumption. 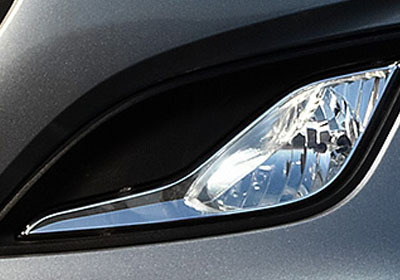 A powerful yet eco-efficient 2.0L 4-cylinder engine generates 173 hp and 154 lb.-ft. of torque. The aluminum engine block and head with DOHC, 16 valves and Dual-CVVT improve torque and fuel economy with an EPA-estimated 33 Highway MPG. It may start out hidden, but this clever camera brings added visibility and safety to the real world. 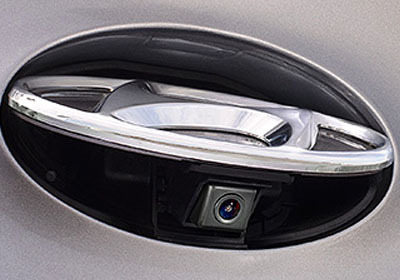 When you put the transmission into reverse, the Hyundai logo on the rear hatch flips up to reveal the rearview camera lens. An image behind the vehicle is captured by the camera and appears on the center console touchscreen. This available feature is perfect for adding visibility in rain, dust or even snow and keeping you focused on what's up ahead. They're also a brilliant way to attract attention and help you stand out from the crowd. Visually stunning just standing still, and even more impressive in motion. You'll feel the big effect of the added traction these available wheels have on handling performance. Tailor the Elantra GT to your desires. Select from the available premium features, such as, leather seating surfaces, a 10-way power driver seat with lumbar support, heated and ventilated front seats, panoramic sunroof, Proximity Key entry with push button start, plus dual automatic temperature control with CleanAir Ionizer and Auto Defogging System. Driving the Elantra GT opens you up to all sorts of new possibilities. Like turning the night sky into an entertainment option or the sunset into an ambient light source for a road trip video. It’s all possible with the available panoramic sunroof. This available feature uses sensors near the windshield glass to detect humidity occurrence and automatically remove humidity on the inside surface of the windshield, improving driving safety and visibility by preventing window fogging. With the rear seats folded down, the Elantra GT’s 119.1 cu. ft. of interior volume and 51 cu. ft. maximum cargo volume are both more than the Ford Focus 5-Door. * The Elantra GT has so much room inside that it feels like a midsize car instead of a compact. 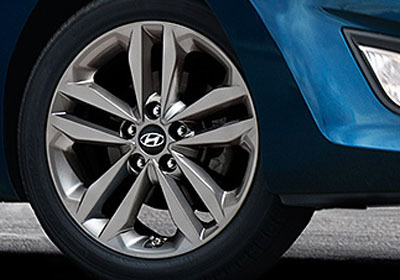 Usually found in more expensive premium cars, this feature is just one more innovative element of Elantra GT’s comprehensive passive and active safety system. Android Auto was designed especially for your driving needs. Just connect your Android Auto compatible phone and your select apps are road ready. Use the touchscreen or the Talk to Google feature for directions, to make calls, listen to music or send and receive text messages while you stay focused on the road. Get ready for a great driving experience with fewer distractions. The available heated front seats quickly take the chill off of cold nights and are a great way to complement Elantra GT’s hot looks and scorching performance. If you’re looking to cool things down as well, select the available ventilated front seats.